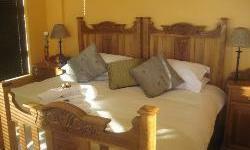 Dassenview Bed and Breakfast is a four star establishment where you can enjoy peace and be spoilt in Yzerfontein on the Western Cape West Coast Route of South Africa. Watch the whales frolick in the waves during spring! Dassenview Bed and Breakfast is nestled in a greenbelt area in the picturesque seaside village, Yzerfontein, just 85 km north of Cape Town on the Western Cape coast. 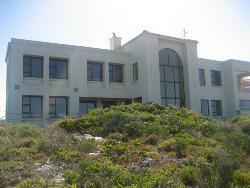 The Tuscany styled house overlooks Dassen Island, has unlimited views of the Atlantic Ocean and also boasts views of Table Mountain. Hospitality and warmth is our motto. 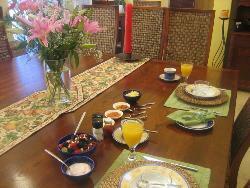 A very charming fully equipped Cottage with a small private garden in the EDEN Villas complex. The ground floor comprises of an open plan kitchen, dining and living area, as well as three double rooms and a bathroom. Upstairs is a "dormitory" with four single beds and a further bathroom. A Balcony on the upper level. There is a double sleeper couch in the living area. Also a single garage. Mobile Braai facilities. TV and decoder facilities, but you will require your own card to activate. 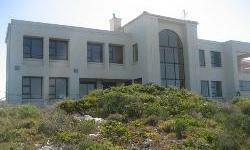 Dassenview comprises of two Luxury double en-suite and two twin en-suite bedrooms, each with breathtaking sea views. All the rooms are equipped with quality percale linen, a fridge; hospitality tray with coffee, tea, etc. ; DSTV, and air-conditioning. Rooms are serviced daily with fresh towels, etc. 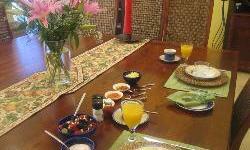 A large breakfast comprising of fruit and yoghurt, full English Breakfast with toast ; and fruit juice is served wherever you prefer - at the breakfast table, in the privacy of your room, or on the patio. 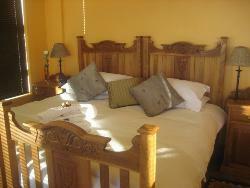 Luxury, double, en-suite rooms overlooking Dassen Island and uninterrupted views of the Atlantic Ocean. Four Star rating. Each room has DSTV, fridge & hospitality tray. Rooms furnished with two Single beds (which can be converted to a King-sized bed) with white percale bedlinen, down duvet.